The press release that follows is long, but it’s a compelling and disturbing read. It should be compulsory reading for every British Columbian, because the situation at the Site C dam site will affect all of us. 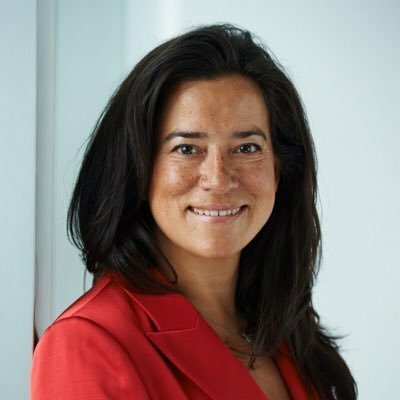 This speech is notes for an address by the Honourable Jody Wilson-Raybould, PC, QC, MP, Minister of Justice and Attorney General of Canada, given to to the Business Council of British Columbia in Vancouver, British Columbia on April 13, 2018. The following is the full text of a letter to Attorney General Dave Eby from Chief Roland Willson, of one of two First Nations making a civil claim of treaty infringement against BC, Canada and BC Hydro in BC Supreme Court. This is the best news we’ve had since the BC Utilities Commission’s excellent and damning report on the Site C dam in October. 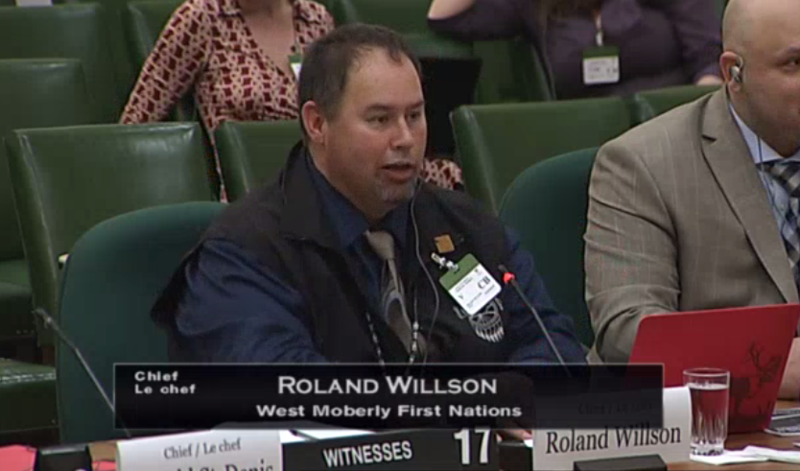 On May 9, 2018 Canada’s federal Justice Department issued an Application Response containing the unexpected but welcome statement that it will not be opposing the injunction filed in BC Supreme Court by West Moberly and Prophet River First Nations. 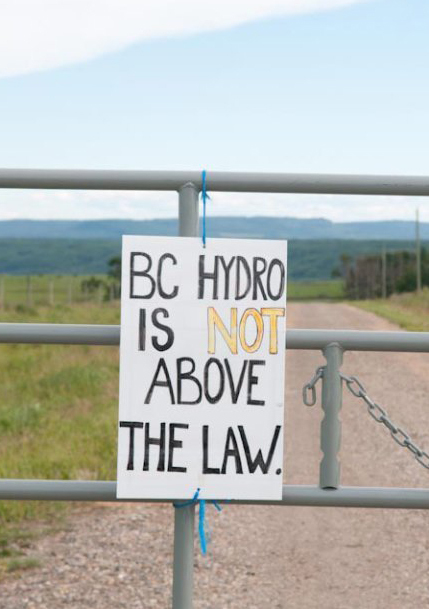 BC Hydro loses money every year. They are now close to $28 billion in debt—not counting the $5.9 billion they have in deferral accounts or hidden elsewhere in accounting. This debt masks the hemorrhaging of BC taxpayers’ money while costs are deferred to future generations. 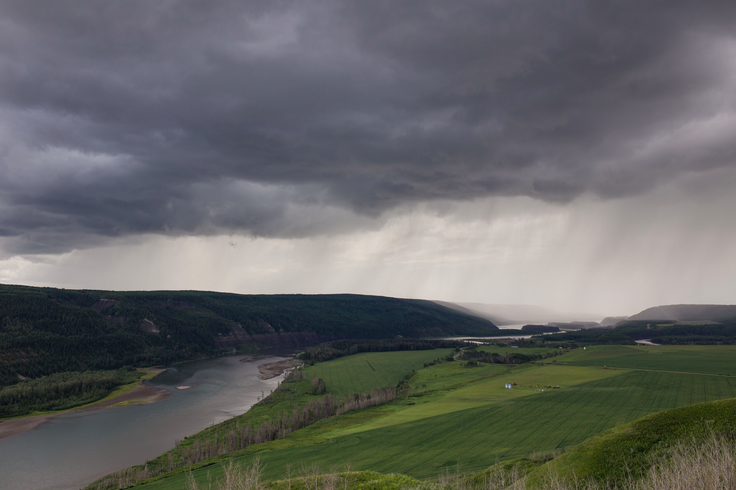 The Site C dam project represents a violation of rights guaranteed by Treaty 8 and a barrier to Reconciliation. Both the BC and Canadian governments have made strong commitments to Reconciliation between Canada and First Nations, most recently reiterated by Premier John Horgan upon taking office in 2017, and by the new government of Justin Trudeau who promised a new “nation to nation” relationship in 2015 but then issued a federal permit for the dam. A stunning new animated map of logging on Vancouver Island was released today by well-known BC environmentalist Vicky Husband. The map displays 150 years of logging in 30 seconds, and provides important perspective to public debate over logging and the escalation of raw log exports from the province. 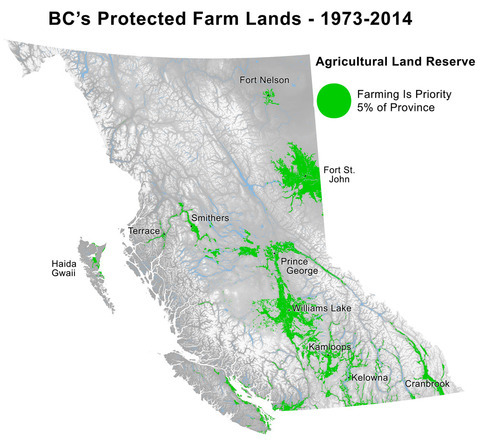 The BC Government is about to pass a bill – Bill 24 – that will allow industrial development through the vast proportion of that farmland. That development would include fracking, mining, diversion of water for oil and gas, and other invasive industrial activities. We must stop Bill 24 from becoming law. In only 60 years, forest companies have clearcut the vast bulk of Vancouver Island’s ancient forest. Clayoquot Sound (lime green bit near bottom left of right-hand map) is the only significant tall old growth forest remaining. Meanwhile export of raw (non value-added) logs has risen, while job numbers have fallen. 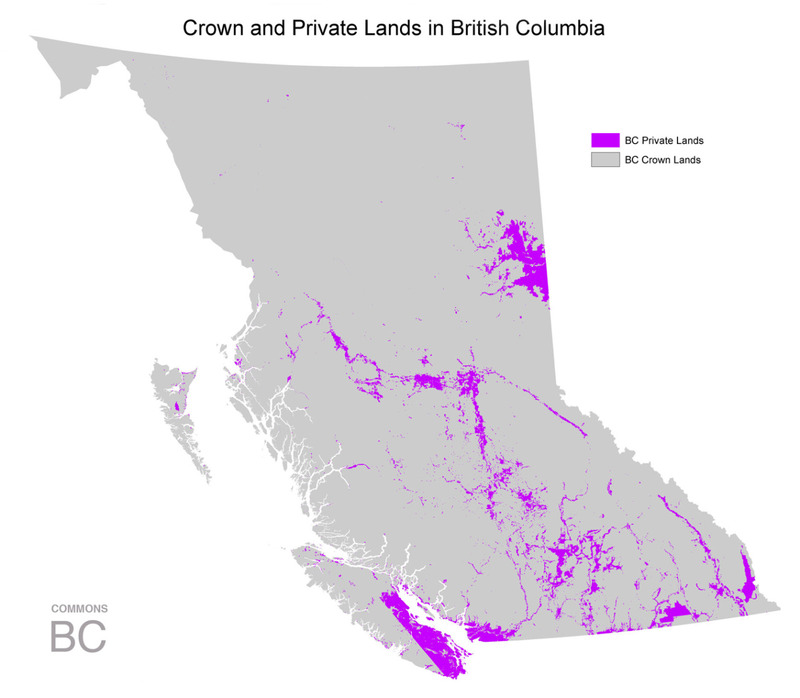 Commons BC—comprised of a volunteer group of scientists, land use and policy experts and citizens—proposes the following course of action for the next BC government as it sets out to manage BC’s Crown lands—that is, 94% of the province.